SEOUL, Mar. 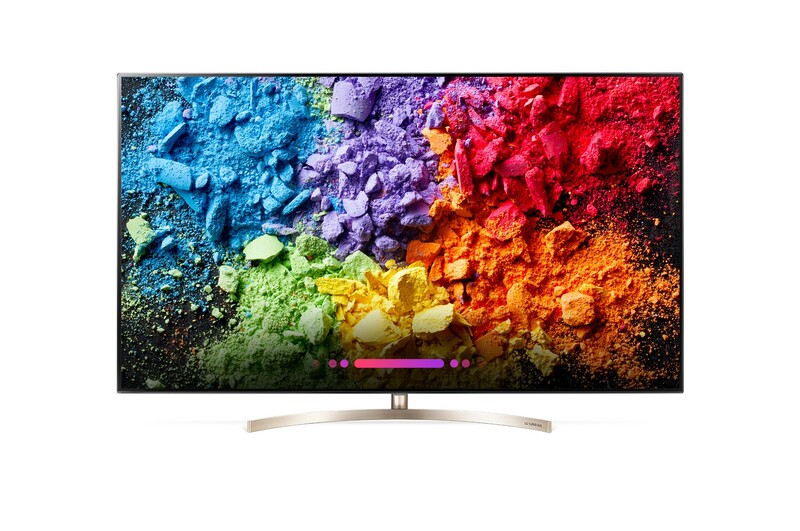 5, 2018 — LG Electronics (LG) today unveiled its 2018 TV lineup with an array of new and innovative OLED and SUPER UHD models, demonstrating its commitment to leading the global premium TV market. At a launching event in Seoul, LG introduced new TV products featuring the company’s exclusive ThinQ® artificial intelligence (AI) technology and advanced α (Alpha) processor which will lead the way in solidifying LG’s position in the global market for premium TVs, with the market for OLED TVs forecast to see sales of 2.5 million units this year from 1.6 million in 2017. LG is building upon its legacy as the pioneer of large OLED display technology with the launch of ten new AI-enabled OLED TV models for 2018, including the W8, G8, E8, C8, and B8. Each model boasts a range of design factors from Picture-on-Wall (model 77/65W8), to One Glass Screen (model 65G8), Picture-on-Glass (model 65/55E8) and Cinema Screen design (model 77/65/55C8 and 65/55B8). 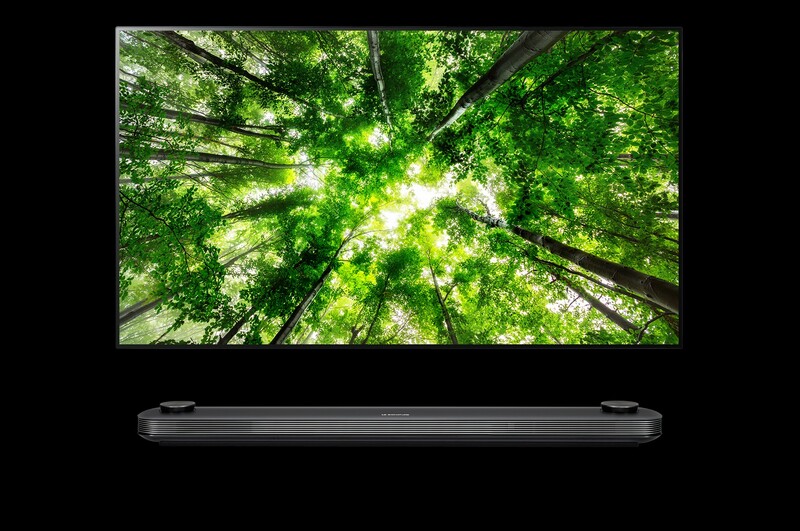 Screen sizes range from 55 to 77 inches with nine AI-enabled SUPER UHD TVs (model SK95, SK85 and SK80) available in sizes varying from 49 to 75 inches. 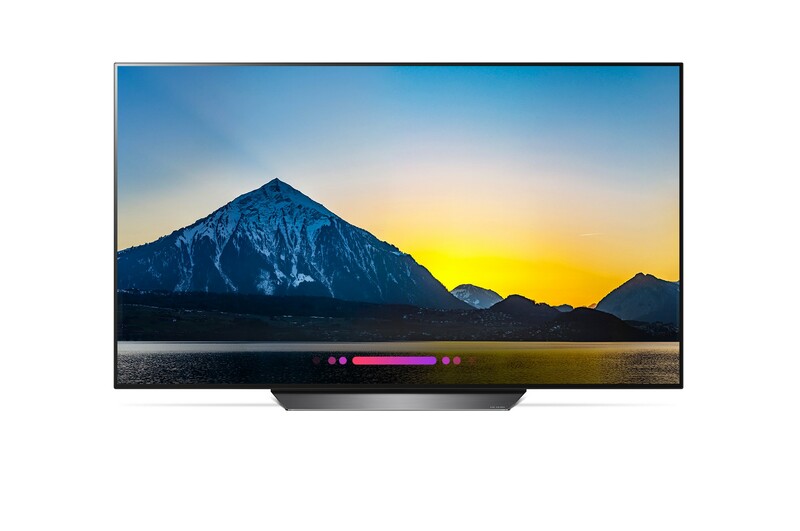 With LG’s α (Alpha) 9 intelligent processor powering company’s market leading W8, G8, E8 and C8 OLED TV series, viewers will experience enhanced image rendering and more accurate colors from virtually any viewing angle in addition to perfect black levels, the hallmark of LG’s OLED TVs. And with Dolby Atmos sound and optimal picture quality, this year’s TVs from LG will provide consumers with an immersive viewing experience. 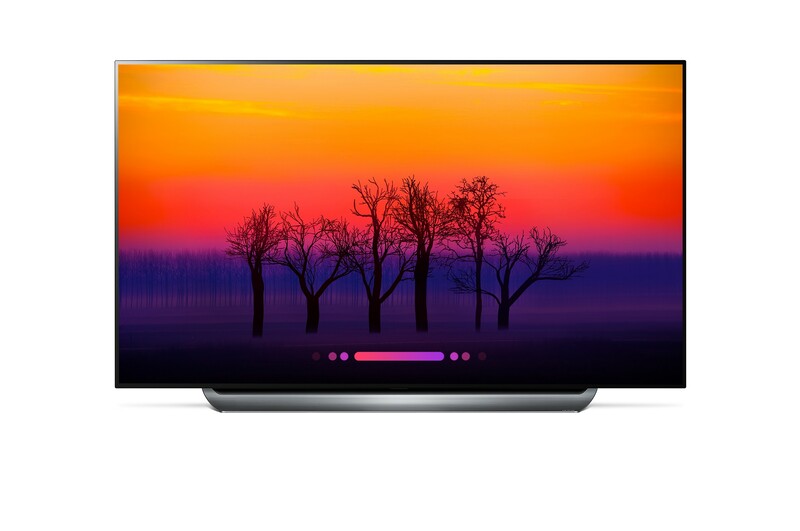 LG’s 2018 AI-enabled SUPER UHD lineup is powered by LG’s α (Alpha) 7, the same powerful processor found in the B8 series. 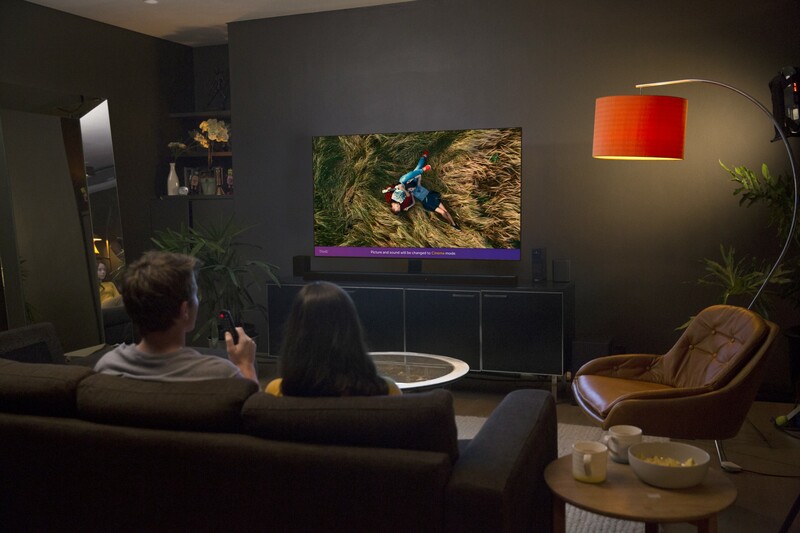 In combination with Nano Cell and FALD backlighting, LG AI-enabled SUPER UHD TVs offer the most advanced LCD picture quality ever with deeper blacks, enhanced image rendering, improved shadow details and accurate colors from the widest viewing angles. To complement the upgraded viewing experience, the new SUPER UHD TVs also support Dolby Atmos for an immersive audiovisual experience. With AI functionality embedded in the sets, LG TV viewers can speak directly into the remote control to enjoy the ultra-convenient features of the latest advanced voice assistant technology. 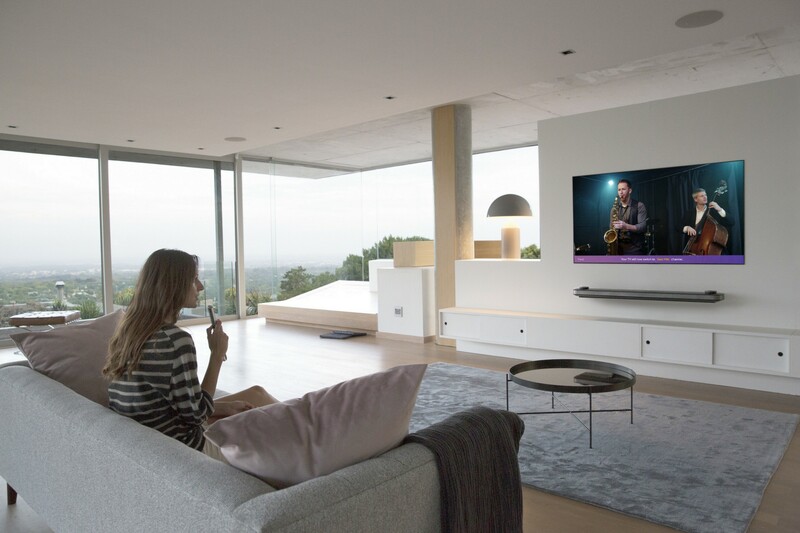 This is achieved by employing Natural Language Processing (NLP) to deliver intelligent voice-activated control and connectivity based on LG’s exclusive deep learning platform, Deep ThinQ®. 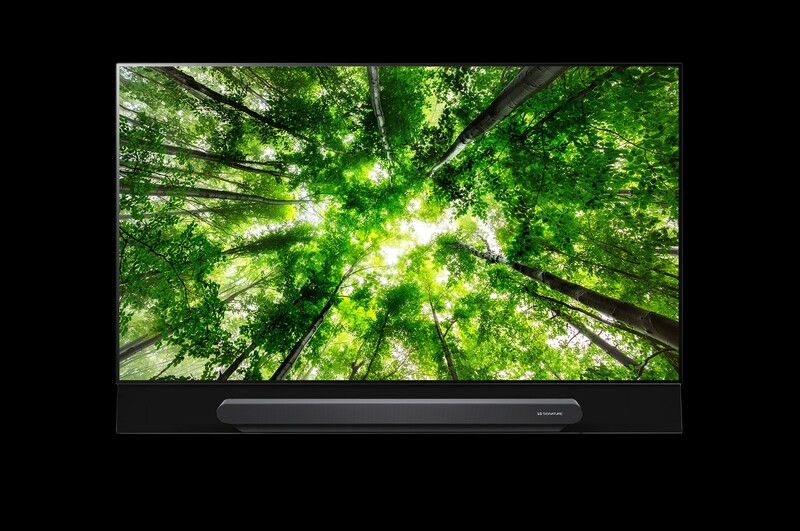 LG’s ThinQ® AI-enabled TVs support services based on the Electronic Program Guide (EPG) to deliver real-time information and locate channels offering the desired content. Viewers can say “search for this movie’s soundtrack” or “turn off the TV when this program is over” without repeating the program’s title or specifying a time. * IoT functions vary country-to-country.